Every original HubioPharm product has a special sticker on each and every blah blah blah. Remove the protective layer and read the lines of letters and numbers. Entered security code is valid. Entered security code is unvalid. 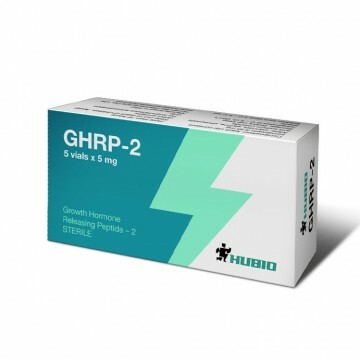 GHRP-2 is considered to be the most effective and powerful booster of somatotropin. The growth hormone level is increased from seven to fifteen times as a result of stimulation of the pituitary. 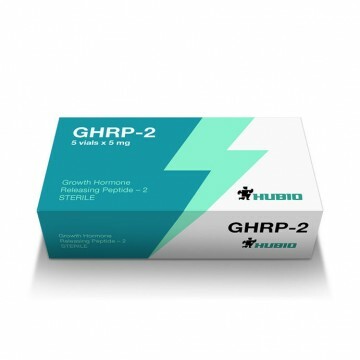 It is noted that GHRP-2 is able to increase the production of growth hormone, even in elderly people. has no effect on liver. 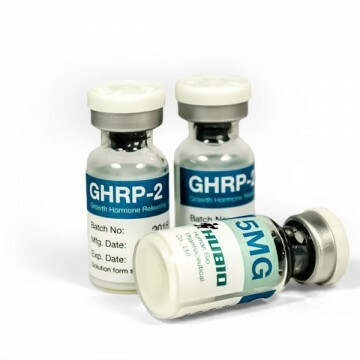 GHRP-2 should be applied in dosage of 1.2 micrograms per kilogram of the athlete. Injections are made 2-3 times a day, depending on specific objectives regarding peptide. Most efficiency the peptide has if administered in the morning after your workout and at night. The application course is 8 weeks, in order to avoid side effects it's strongly recommended not to exceed the dosage (100-200 mg daily) and duration of the course. The interval between injections should be 6.8 hours, during which time the drug acts. GHRP-2 is a powder. In 10 minutes before injection it is necessary to dilute the peptide with cooler water for injection. Do not shake the vial during the dissolution of the substance. 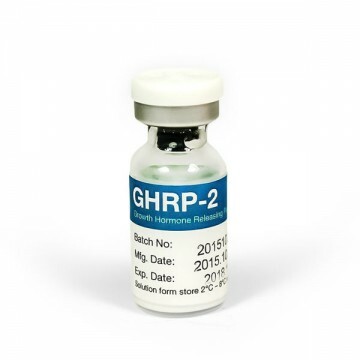 GHRP-2 can be stored in refrigerator for one month. As a rule, GHRP-2 does not cause side effects and is safe. If, however, significantly you exceede the dosage, in this case, there is a risk of increasing the concentration of prolactin and cortisol, which are extremely negative for bodybuilders. The cost of the drug is relatively accessible and efficacy was tested by many athletes, due to this GHRP-2 has positive reviews from many athletes who experienced the course of the peptide.